MOSCOW (Sputnik) — According to the FSB, Akram Azimov "helped to transfer money for the preparation of the terrorist attack and assisted in establishing communication channels with the emissaries of international terrorist organizations." "Akram Azimov has been brought to Russia's Investigative Committee for questioning," the FSB said in a statement. Abror Azimov was detained on the western outskirts of Moscow on Monday on suspicion of training St. Petersburg subway suicide bomber Akbarzhon Jalilov. A Moscow court authorized his arrest. According to the Investigative Committee's spokeswoman Svetlana Petrenko, Akram Azimov was in possession of an RGD-5 grenade at the time of arrest. "At the moment, the investigators are working with him, establishing his part in the crime and other facts that may be important for the investigation… At the moment, there are 10 persons of interest in this case," Petrenko said. The arrest footage shows that the suspect was detained at a bus station. 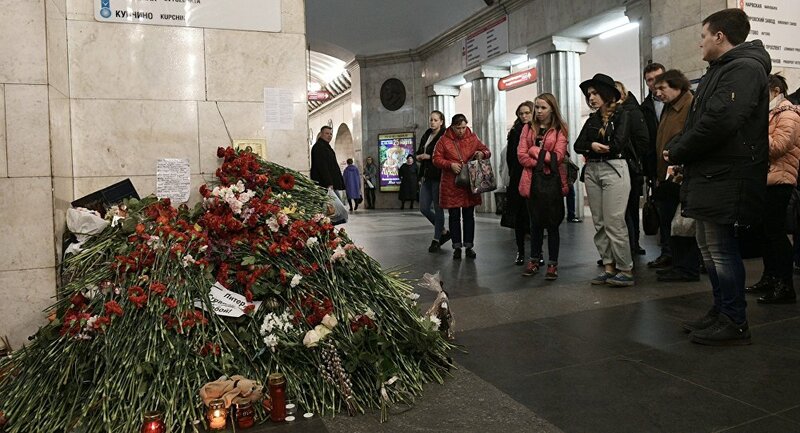 A bomb blast hit the St. Petersburg subway on April 3 claiming 15 lives, including the perpetrator of the attack, and leaving about 50 people wounded.